What were the problems with the Articles of Confederation? The primary problem with the Articles of Confederation was that the central government was too weak. It did not have the power to regulate different states’ behavior. The commerce interests of the various states often were not aligned and the central government could not resolve these disputes. Under the Articles of Confederation, the Confederation Congress could not force state governments to raise monies for the federal government but had to depend on them to supply it voluntarily. The Confederation Congress could declare war but it could not raise an army. The states had to do that. 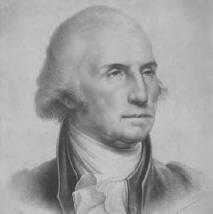 George Washington, who would later become the first president of the United States, was also one of the framers of the Constitution and a leader of the Philadelphia Convention (iStock).